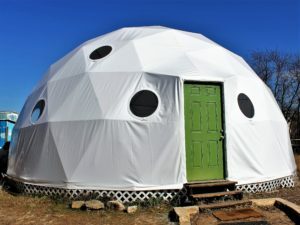 Looking for a way to live more sustainably? To connect to Nature in meaningful, kind, intelligent, and practical ways? Look no further than Permaculture Design Certificate Courses! 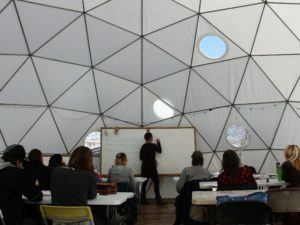 The Permaculture Design Certificate or PDC is awarded upon completion of the 72-hour curriculum in Bill Mollison’s ‘Permaculture: A Designers’ Manual.” This curriculum, which is taught domestically and globally, provides students with the foundations of permaculture principles and practices. 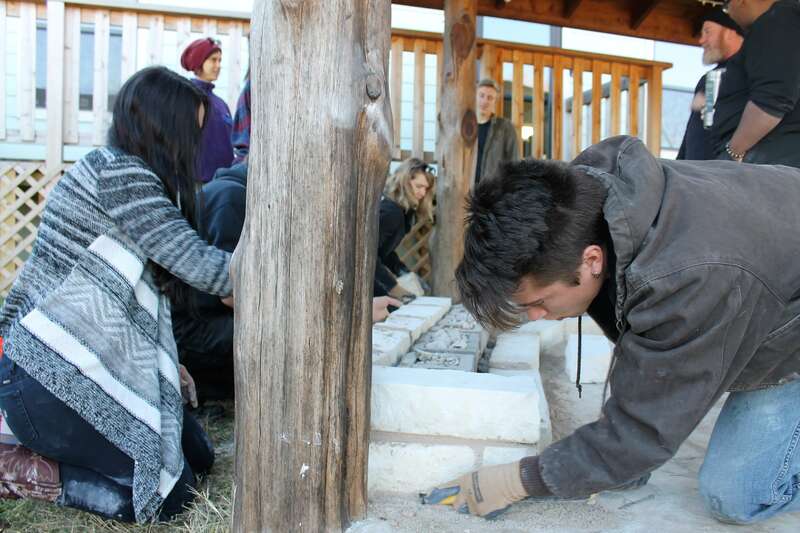 Upon graduation, students can continue to practice permaculture by teaching permaculture courses, building up permaculture design portfolio, or starting a home project with your new skills and knowledge. Typically, the PDC will overview all the major systems of permaculture including: ethics and principles of permaculture, patterns in design, water management systems, soil sciences, small animal system and plant propagation. But every individual course will have its own class structure curated to the instructor’s expertise and what the site has to offer for hands-on activities. Students are guaranteed to leave their PDC with not only a Certificate but also a wealth of permaculture knowledge to work with and a unique memorable experience. 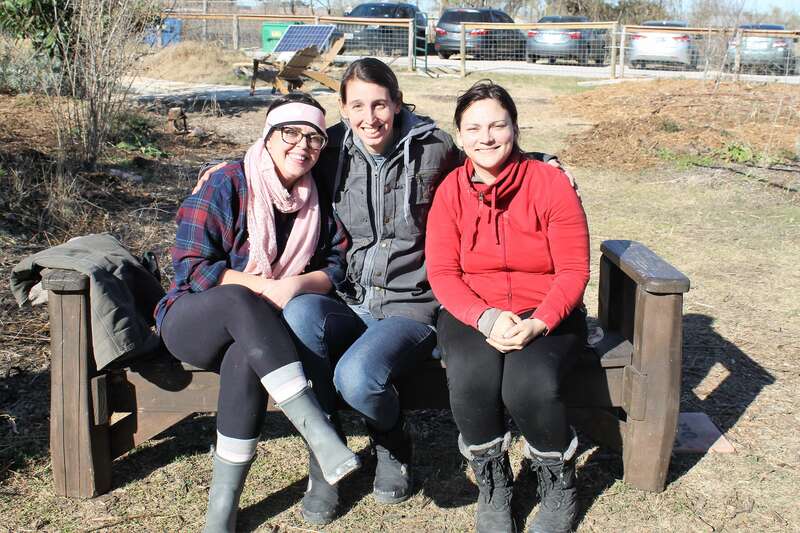 These pictures peek into the current PDC the “6 Weekends” which meets blank at the Whole Life Learning Center in Austin, taught by instructors and lead permaculturists Taelor Monroe and Caroline Riley. This past class students got to learn about rainwater collection systems and how to start their own home collection systems. 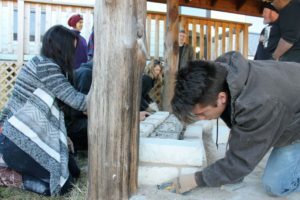 Students also had an exciting opportunity to build a cob bench with specialist Kindra Welch and John Curry of Clay, Sand, Straw. The six weekends classes are so rewarding because of their ability to build community while incorporating important skills and knowledge into your daily routine. PDCs open up your life to so many opportunities as I learned at my own PDC in the summer of 2017. During my course, I was able to get a sense of how I want to interact with the people, places and ideas surrounding my passions and channel it into my potential career.